It appears James “Ghost” St. Patrick has it all — a drop-dead gorgeous wife, a stunning Manhattan penthouse, and the power and success that come with owning hot new nightclub Truth. But a closer look reveals a man living a double life. When Ghost isn’t tending to his Fortune 500 business, he’s catering to clients of another operation: a drug empire that serves only the rich and influential. While loyal sidekick Tommy protects the cash-cow narcotics venture at all costs, Ghost’s new reality is using Truth as more than a front to launder money. It’s a way out of the drug game and into a legitimate life with his family, even if everything he loves becomes unknowingly threatened. 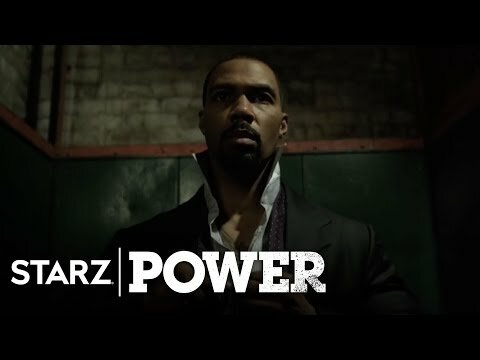 “Power” is co-executive produced by Curtis “50 Cent” Jackson (who also co-stars) and show creator Courtney Kemp Agboh (“The Good Wife”).